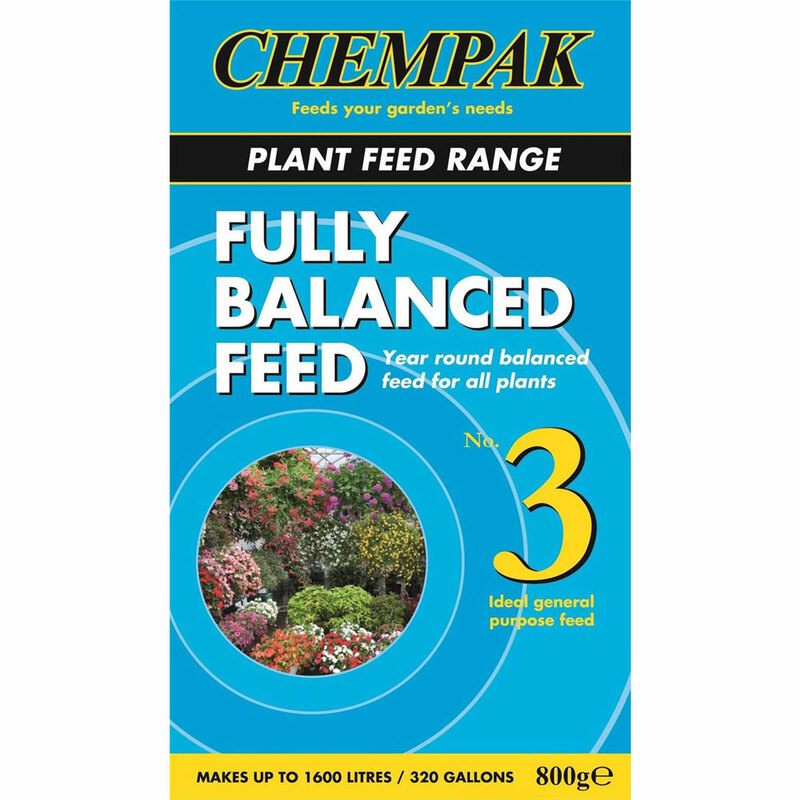 Chempak® No 3 Fully Balanced Feed 800g Carton provides a multi-use fully balanced all round general feed for all of your house and garden plants. All year round soluble formula used by professionals, provides identical proportions of the key plant nutrients, Nitrogen, Phosphate and Potash. Fully soluble ensures this gets to work instantly to boost plant growth and prevent serious disorders. All Chempak soluble plant foods contain seven essential trace elements, far more than ordinary soluble fertiliser. These trace elements are absolutely necessary to plant growth and serious disorders can occur if any are absent. Supplied from the Chempak® Plant Feed Range.